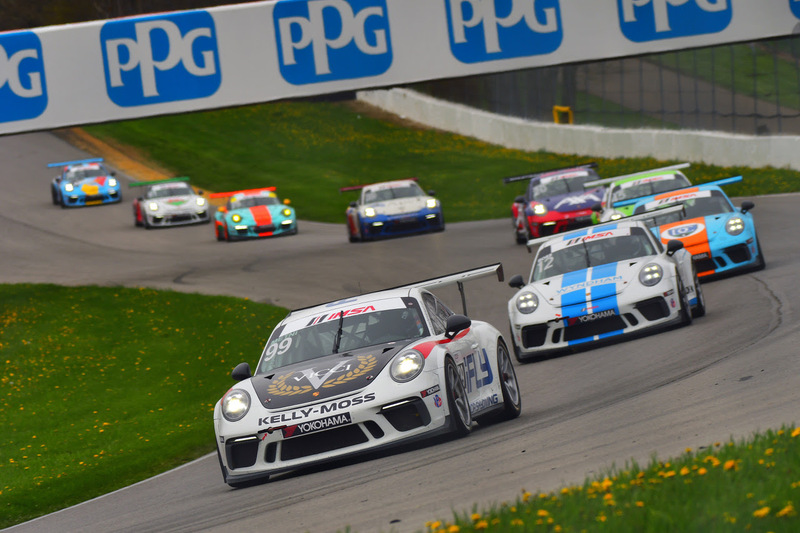 Lexington, Ohio (7 May 2018) – The Mid-Ohio Sports Car Course staged Rounds 5 and 6 of Porsche GT3 Cup Challenge USA by Yokohama competition for the fleet of five GT3 machines for Kelly-Moss Road and Race (KMR). As the action packed double header race weekend began, KMR set its focus on obtaining valuable championship points for both drivers and team in pursuit of new championship titles. Heading into the race weekend third in the Platinum Class championship points, KMR was eager to see Roman De Angelis in the No. 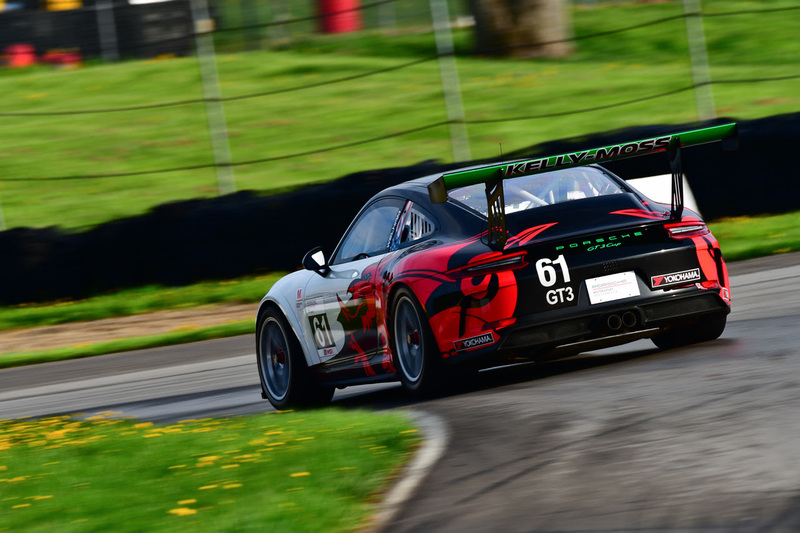 1 Porsche sponsored by Racing for Children’s / MTP / and Fortis Porsche make moves and gain championship traction. Also joining De Angelis in the Platinum Class was the No. 61 of Scott Welham and the No. 99 iFly/VICCI Auctions/AM Motorsports entry of Alan Metni. Representing the Gold Cup class for KMR was Kurt Fazekas in the No. 52 machine and Greg Palmer competing in the No. 44 Porsche. Race 1 saw overcast conditions with rainy weather holding out for the drop of the green flag. De Angelis started from third on the grid and maintained position through the start. After a strong battle to hold the final spot on the podium, De Angelis came up just shy as he crossed the checkered flag fourth in the order. The Platinum Masters class entry of Metni scored his best finish to date, scoring a well-earned masters class victory while the No. 61 of Welham finished fifth at his home track. 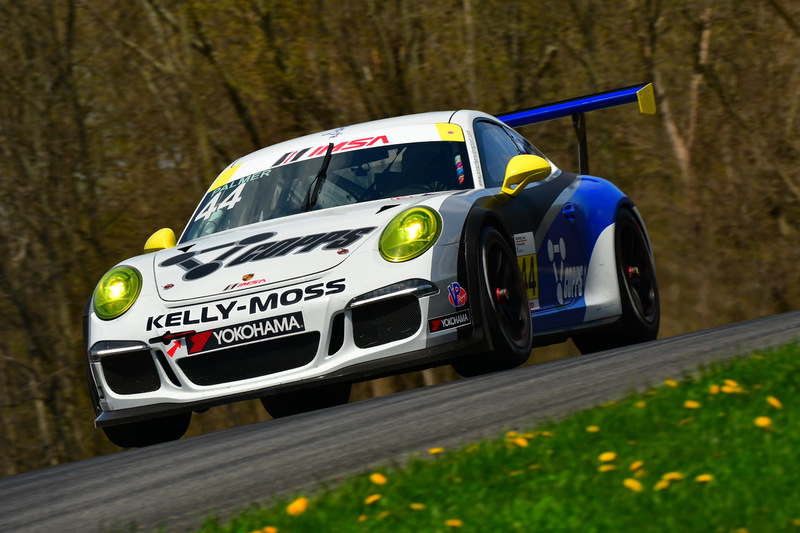 KMR Gold Class driver Fazekas had an eventful day one at Mid-Ohio as he made the trek to and from Indianapolis in order to attend his daughter’s graduation, which forced him to miss qualifying. 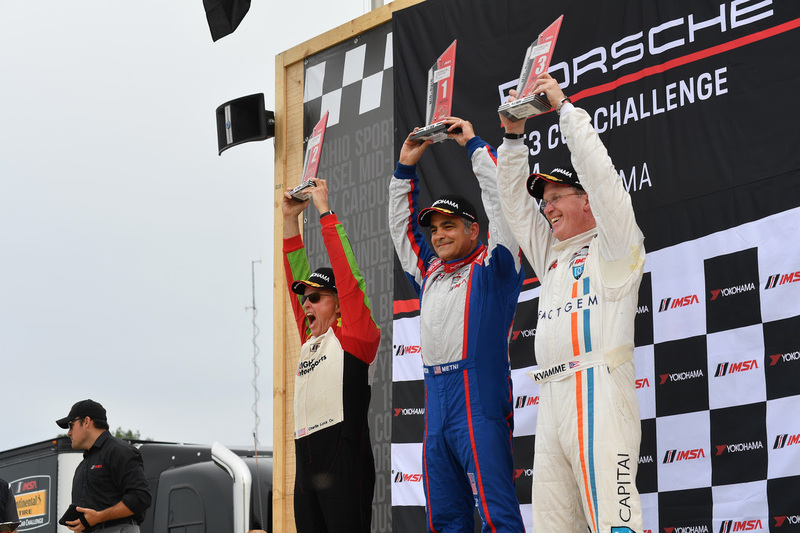 Fresh out of a four hour drive, Fazekas hopped in his Porsche machine and was able to bring home a third place result after starting from the back of the field while the No. 44 of Palmer finished fifth. The final day of racing action for the KMR squad began early on Sunday morning with the team looking to top the podium once again. De Angelis started from fourth on the grid and was able to make up one position come the end of the 45-minute race as he nabbed the final spot on the podium and captured valuable championship points to slot in second in the provisional points standings. Welham scored just one position off of the podium after a solid run from seventh, finishing fourth in the order while Metni earned a seventh place result in the Platinum Masters class. Race 2 was yet another standout performance by KMR veteran Fazekas as he raced to the finish line to finish second, moving him to second in the provisional points standings. Palmer, who continues to show improvements every time he takes to the track, scored a standout fourth place result in the Gold class. The team has worked to not only tune the cars for performance, but also work with the drivers to develop their ability to get the most out of each race weekend, and that focus has continued to generate results. 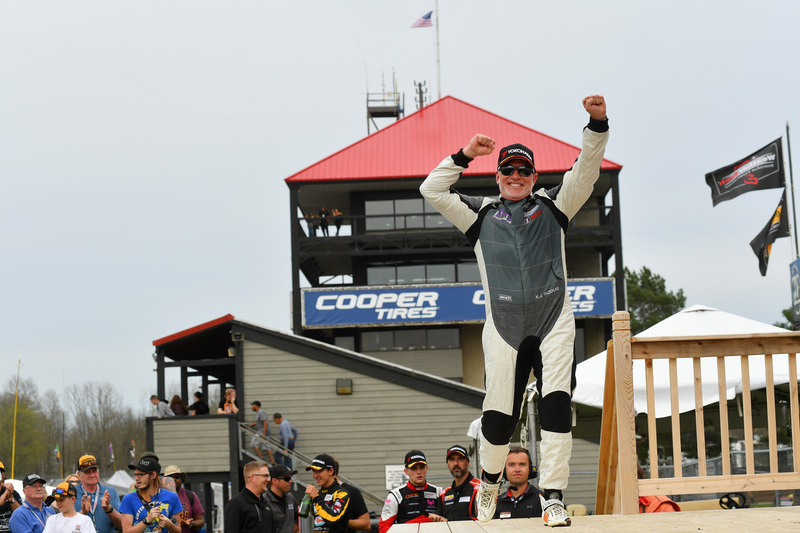 Team owner Jeff Stone was happy with the return to Mid-Ohio and is pleased to be able to pick up additional championship points this weekend. 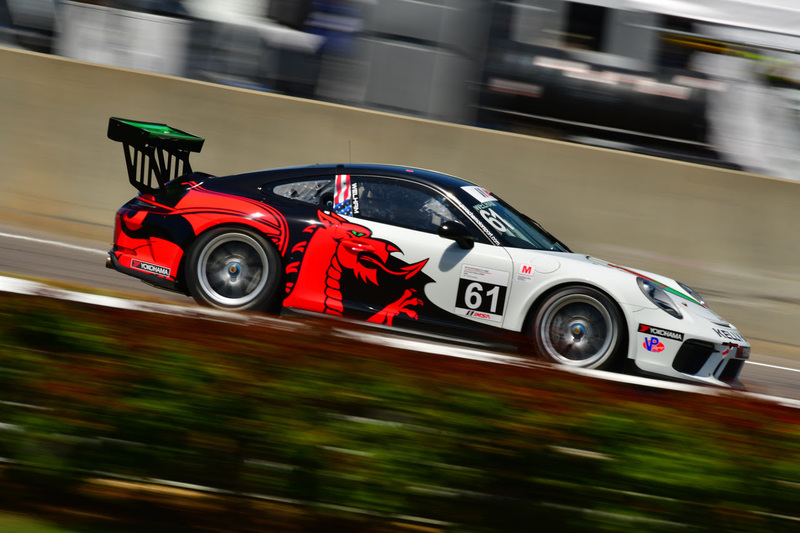 Rounds 7 and 8 of Porsche GT3 Challenge USA by Yokohama competition will resume at Watkins Glen on June 28-July 1.